With artists of the label Accords Croisés | Belgian-Peruvian singer-songwriter Chicos Y Mendez | Ako trio, with Antonio Forcione (Italy), Seckou Keita (Senegal) and Adriano Adewale (Brazil). 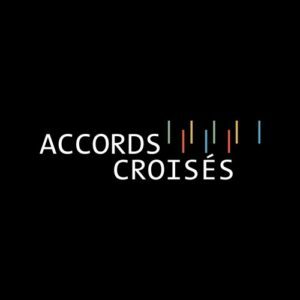 The main purpose of the French label Accords Croisés is to search for the voices of the world that are representative of a certain culture, aesthetic tradition or trend. Sacred or profane voices, voices that convey a certain tradition or hide over cultural dividing lines, young or mature voices, rugged or virtuoso voices – all of these voices allow those they have designated to represent and to be heard. Here are some examples: 1. Aida et Babak, Lalai-e mahtab; 2. Arat Kilo,Toulo; 3. Artho duo, Cinq tempéraments; 4. Faiz Ali Faiz, Lal Shahbaz Qalandar, The Red Falcon; 5. Henri Tournier et Epi-Khoomiing, suite 2. ciel; 6. Houria Aichi, Les Pèlerins; 7. Nishtiman, Khor Halat radio edit; 8. Sabry Mosbah, Mouch Menni; 9. Sirventés, La Cieutat dei fous; 10. Vinicio Capossela, La Bestia nel grano; 11. Zied Zouari Trio, Air From India. 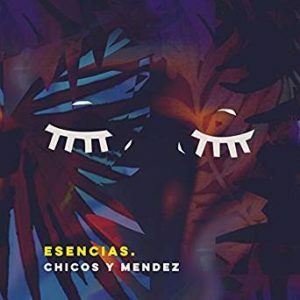 Esencias van Chicos Y Mendez. A Belgian-Peruvian singer-songwriter and his new album Esencias that can be translated as essential things and extracts or solutions. Each song tells its own story in which Chicos Y Mendez often tries to re-humanize what is dehumanized. For example, the title Reggaeton Feminista, a song in which Flavia Coelho provides a feminine and Brazilian touch, is an indictment against the absurdity of gender inequality. It was no coincidence that the choice was made for reggaeton, because this genre is often inherently associated with typical Latin American machismo. The song was also provided with a corresponding video clip for which David was inspired by the classical representations of “The Last Supper”, but the figure of Jesus was replaced by the Mexican artist Frida Kahlo. Joy van het Aka Trio. An album with three world-famous virtuosos: The Italian guitarist Antonio Forcione, the kora player from Senegal Seckou Keita and the Brazilian percussionist and composer Adriano Adewale. 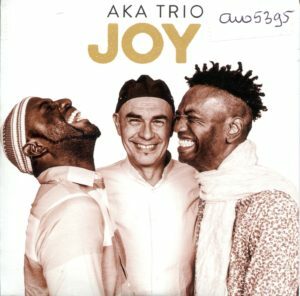 These three musicians have come together to create a refreshingly original international “fusion”.